James Till and his colleague Ernest McCulloch were researching the effects of radiation on bone marrow tissue in lab mice when they made an astonishing discovery. One Sunday when McCulloch went to the lab to take a routine sample, he noticed bumps on the spleen of a mouse, clumps of cells that emerged after it had been injected with marrow. He counted the bumps and found that the number was directly related to the number of marrow cells that had been transplanted. Till and McCulloch, scientists at the Ontario Cancer Institute, were wary of jumping to conclusions, so they described their findings in 1961 as “spleen colony-forming units.” In later years, they and their collaborators were able to establish that what they had observed were stem cells, and to explain their properties. Their work opened the door to new research with the potential to reshape health care and cure ailments ranging from blindness to cancer. Their research has already paved the way for life-saving treatments, such as bone-marrow transplants to treat cancer. And their discovery has helped build up regenerative medicine into a global multibillion-dollar industry. By 2021, the market is expected to grow to US$38.7 billion worldwide. Without public funding from the likes of the Defence Research Board and Medical Research Council, Till says his research with McCulloch – who died in 2011 – would have been impossible. “We needed a lot of mice, and they were expensive,” he recalls. His comments come as the government weighs the recommendations of Canada’s Fundamental Science Review panel, which was led by U of T President Emeritus David Naylor. The panel of experts called for a $1.3-billion boost in federal research funding over four years and changes to how it is administered. In the interview, Till says the federal government and the public should support basic science because “it’s the beginning of everything else." In 2005, their work was honoured with the Lasker Award, sometimes called the American Nobel. They were both named Officers of the Order of Canada and inducted into the Canadian Medical Hall of Fame. Till was born on a farm in Saskatchewan, near the Alberta border. He studied physics at the University of Saskatchewan before obtaining a PhD from Yale. As memories of the atomic bombs dropping on Hiroshima and Nagasaki were still fresh, Till says he gravitated toward biophysics. “It’s challenging from an intellectual point of view, but it also has the potential to be helpful, which was the kind of motivation I wanted,” he says. He came to University of Toronto as a post-doctoral researcher. 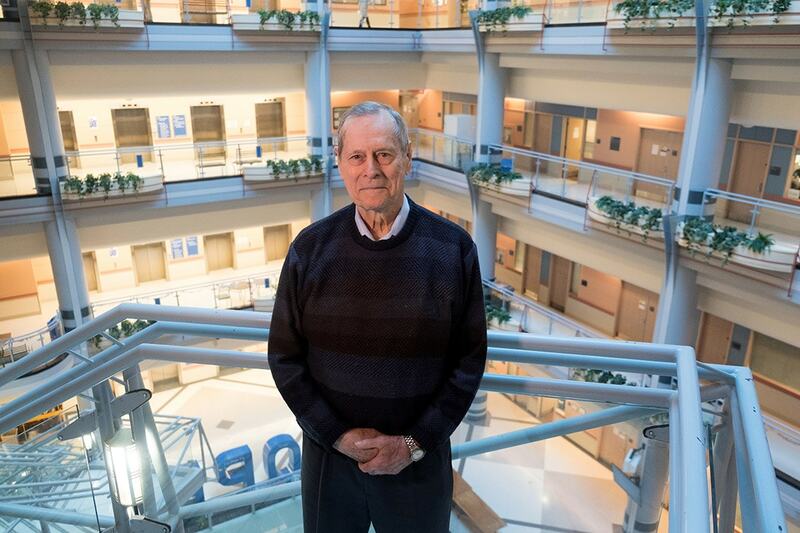 He was reunited with his former master’s supervisor Harold Johns, who recruited him to the research staff at the Ontario Cancer Institute at Princess Margaret Hospital. McCulloch was part of the biology group. Till and McCulloch are sometimes described as a scientific odd couple because of the differences in their expertise and temperament – Till, the physicist from the Prairies, and McCulloch, a hematologist from Toronto. “We became friends quite quickly,” Till says. From their lab benches in the 1960s, they could not have anticipated the vast implications of their discovery. And the full impact of their work may not be known for some time still.